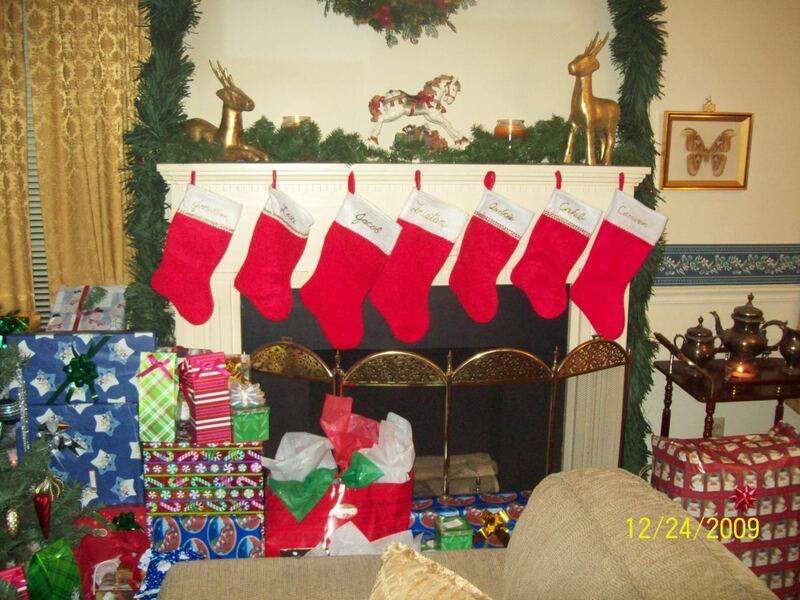 Most people who have a fireplace in their home also have a set of tools, usually placed on the hearth. The fireplace tools aren’t just functional; they’re also very attractive and give the fireplace an even homier appearance. In fact, many homeowners who have gas fireplaces often employ fireplace accessories and tools beside their fireplace for aesthetic reasons only, since gas logs require none of the tools. Most sets of fireplace tools consist of a pair of long tongs, a poker, a brush, and a small shovel. The tools may be held in a tree or they may be suspended on hooks in a matching frame. 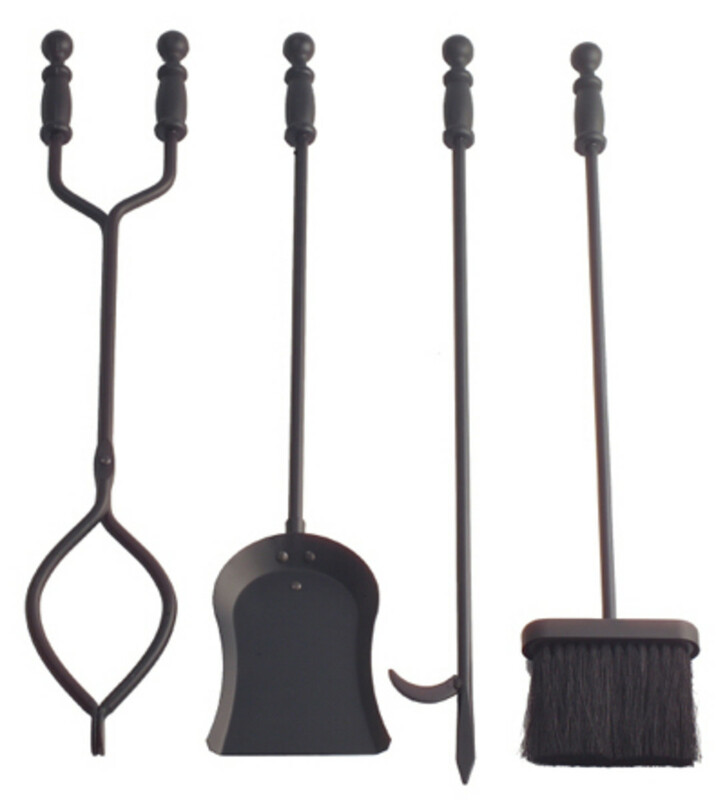 Some sets of fireplace tools also include a soft broom. Another accompaniment often seen with fireplace tools is the ash bucket or coal hod. What’s the purpose of each tool? Each tool in the set of fireplace tools has its own purpose. The tongs are used to handle logs. They’re long enough to safely shift the positions of burning logs and place them where you want them. The fireplace poker is a sharp instrument, and most have a curved spur near the point. The poker is used for pushing and pulling logs that are on the fire. It can also be used to remove ash from logs, enabling them to burn more efficiently by increasing the amount of oxygen to the flame. 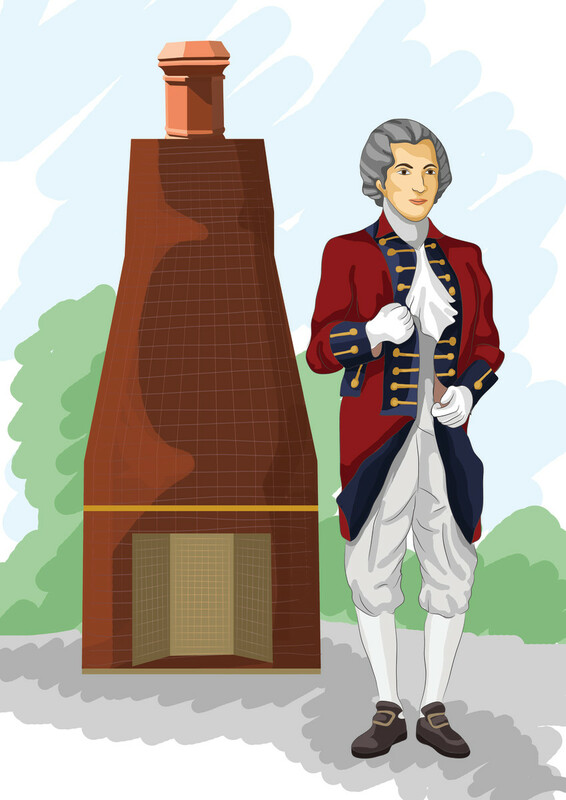 The brushes in fireplace sets are usually round or flat, with stiff bristles. The brush is great for cleaning the grate, the hearth, and the fireplace itself. The stiff bristles are especially effective on tough stains. The shovel that’s usually included in a set of fireplace tools is small and flat. It can be used to remove ashes and small bits of wood leftover from a fire. It also serves as a sort of dustpan – ashes can be swept into the shovel with the brush or the broom. Some fireplace sets also include a small broom that has softer bristles than the brush. Such a broom is effective for removing fine particles of ash. While an ash bucket or a coal hod is not generally considered as part of a set of fireplace tools, they’re used frequently by homeowners as additional fireplace accessories. These are almost always made of metal to make them fireproof. They’re used for holding the ashes and unburned wood pieces from a fire so that they can be carried outside and disposed of. Sometimes they're used as a decorative accent on the hearth to hold kindling, pinecones, or even magazines. What type of sets are available? Most fireplace tools come in three sizes: small, medium, and large. The size refers to the length of the various tools. Fireplace tool sets also come in a wide range of styles, ranging from vintage and antique fireplace tools to modern fireplace tools, along with a variety of materials. 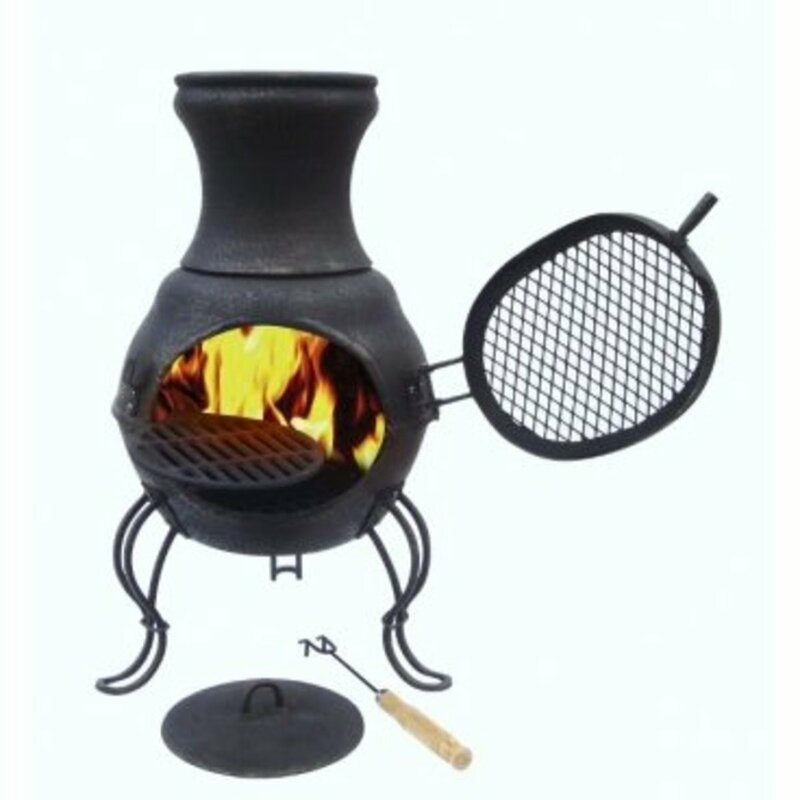 If a homeowner prefers a rustic set of fireplace tools, they might choose ones made from wrought iron. A more formal set might be made of polished brass. Other sets are made of graphite, stainless steel, nickel, or bronze. 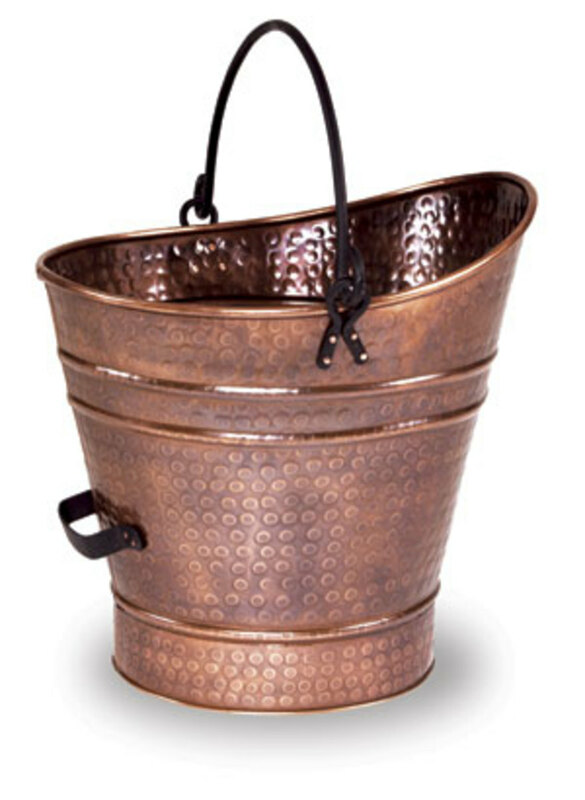 Some of the most attractive sets are made from copper or pewter and are hand forged. Wrought iron tools with brass handles are also popular, along with tools that have handles in the shape of goose heads, duck heads, or horse heads. With all the styles and materials available, the possibilities are practically endless. 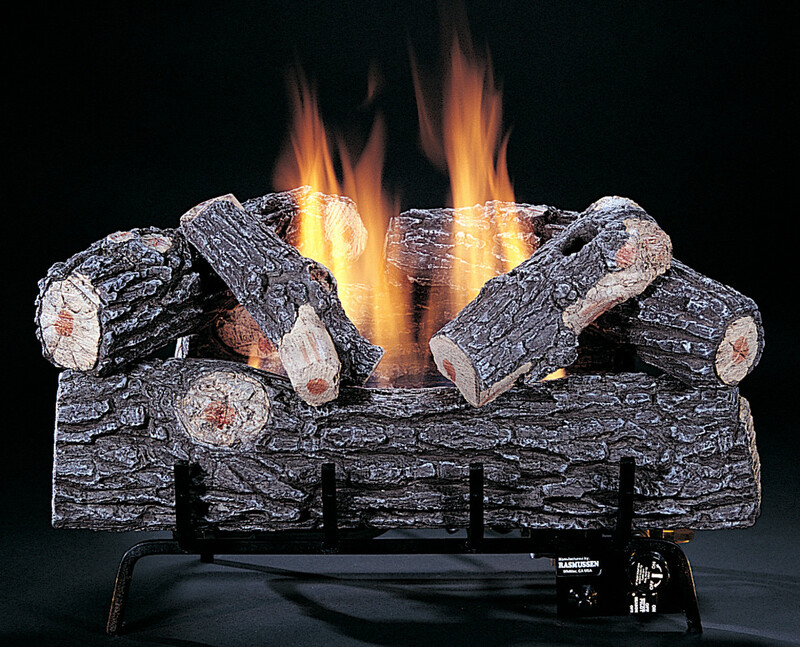 You’ll be sure to find the perfect set of fireplace tools to attractively accent your room décor. A traditional set of fireplace tools. Good for you, Relica! Makes a difference, huh? Hi, Pamela! Thanks for reading! Right, Deb - ya gots to have a good poker! For years our actual fireplace tools were strictly utilitarian, and finally last year I upgraded to a set that was functional and attractive, so I hear ya. Love your hub! Definitely, gotta have tools to poke the fire.....Good Hub! Habee, the fireplace tools are nice and fortunately I need a new screen but not tools right now. Good hub. Habee, Great Hub! Nice tips! Fireplace tools are important! Once that fire gets to roaring there is nothing like a sturdy poker to shift those logs... Thanks for sharing, Blessings! Hi, Marc! It was so nice to "meet" you on your hub video! Sheila, how did they manage the fire without using the fireplace tools?? Not me, Ehern! I know plenty of city boys with lots of smarts! Just posted comment on your hub regarding those useful mid-evil utensils. Good décor. My parents had a set of those things to keep the fires blazing. I thought they were pretty cool, almost mid-evil in appearance. Forgot all about that stuff until you posted a hub on it. Go figure. Ethel, that's what I want in my future great room - a beautiful fire without the mess and work of real wood! Good, quildon! Maybe this hub gave you some ideas! My experience is seeing many homes with fireplaces and the tool sets, but they're never used. And that's up north! They are must have. 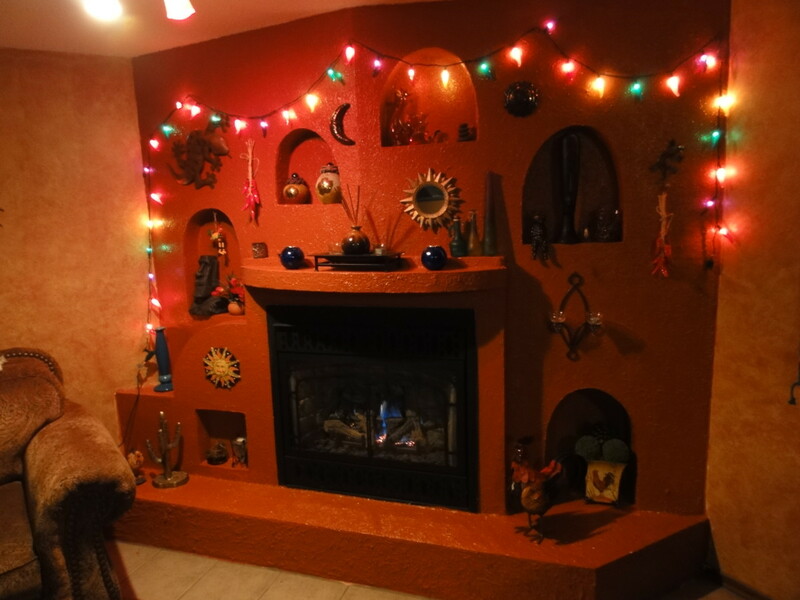 We currently have two fireplaces and love them. They didn't have them in South Florida but when I moved up to the Panhandle, seems like all homes have them. We enjoy the fire although I must admit, at first we had a hard time getting firewood to burn. Not a problem now though.. Who ever said city boys can't learn? I have yet to get a set of fireplace tools. Now I know what to look for. I agree, HH. I love the look of old brick! One tip I can give, habee, for your new fireplace is to get old bricks, the older the better. My ex built one with really old bricks and and it look wonderful. It make s more authentic. Mine, too, Sis! They just make the fireplace look complete somehow. Hi, Kaie! I'm planning on a really big one in our new (hopefully) great room! I never thought of fireplace tools as an attractive accessory to the fireplace, but it makes a lot of sense. I guess it's a great way of tying the whole look together. Thanks for another informative hub habee.